hal-lu-ci-na-tions: Perception of visual, auditory, tactile, olfactory, or gustatory experiences without an external stimulus and with a compelling sense of their reality, usually resulting from a mental disorder, drug abuse, or induced by a magician. Is it possible to instantly induce perceptual distortions in spectators? 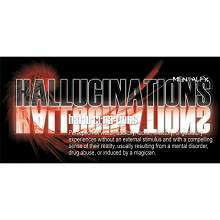 Hallucinations takes the work of mentalist Theo Annemann (1934) and combines It with research of critically acclaimed psychologists Clark Hull (1936). E. Hllgard (1965.1975). and JR. Kihlstrom (1985). A concept straight from the Journal of Experimental Psychology (1931.1985) we bring you an effect that can be performed anywhere, anytime, with nothing more than a pack of cards. No special sleights, the deck remains in full view. Card is a free choice. Five spectators see five different things. The cards they think they saw turn out to not even be in the deck, but have been in an envelope in plain view the whole time. Deck is tossed out for examination. 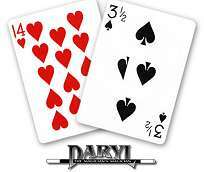 A performer pulls out a deck of cards and a sealed envelope from his pocket saying, "I'd like to share with you something very interesting." 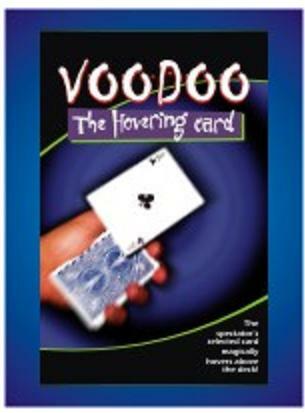 The envelope is placed on the table in plain view and the deck is shuffled. "I'll not be using any sleight of hand or trickery, so please freely chose any card you like from the deck." He says. The first spectator takes a card and looks at it. "Please commit that card to memory Sir, but don't share it with anyone else. And now place it on top of the deck, where it will remain throughout this little exercise." He tells the person. The deck is now held by the performer between his thumb and forefingers without any suspicious movements and in plain view of all concerned. Looking at the spectators casually he says, "Have any of you ever been hypnotized before, or do you think you could be?" A number nod their heads and say yes. 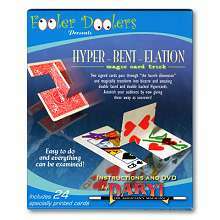 "You may not know this, but studies have shown that hypnotizability is unrelated to personality characteristics such as gullibility, hysteria, psychopathology, trust, aggressiveness, submissiveness or even imagination, which means just about anyone can be hypnotized given the right set of circumstances" The performer shares with the group. Continuing, he says "And many scientists have used hypnosis to temporarily create hallucinations, compulsions, certain types of memory loss, false memories, and delusions in the laboratory so that these phenomena can be studied in a controlled environment. I'd like to see how it works out here in real life." Looking at the remaining four people he says, "Here's what I want to do. I'd like each of you now, one at a time, to peek the top card that he has chosen from the deck. Look at it. Remember it. But don't say it aloud. Can you do that?" They all say yes. 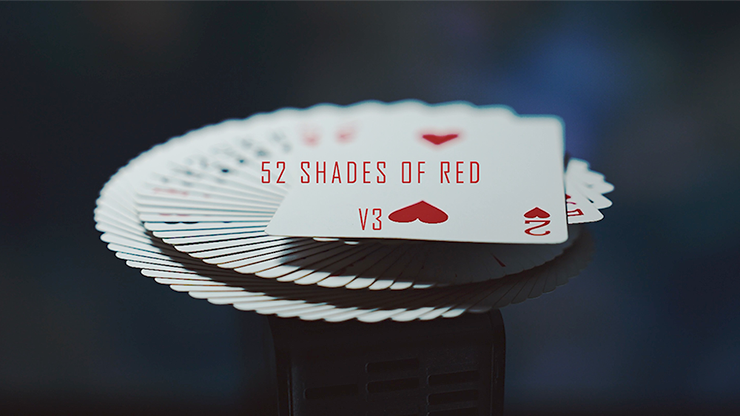 He then walks up to the second person and instructs them to "cup" their hands around the card to protect it from being seen by the others, and says, "Go ahead and quickly peek the top card he chose; remember it but don't let anyone else see what you see." This is done. He then continues to do that until a total of four people have seen the top card originally chosen. Still keeping the deck in plain view, and without any suspicious movements, he says, "Each of you have all looked at the top card; have you all committed the card to memory?" When they respond they have he continues with, "Now please—one at a time—focus on the card in your mind and starting with the first person, tell us what it was." He points at the first person and hears, "Six of Spades." Right way confusion comes across the face of the remaining four people. Then he points to the next person who reveal the two of hearts, and the next person who reveals the eight of diamonds, then the ace of clubs, and finally the four of spades; every card named is different! The performer then very casually flips the top card over to reveal an indifferent card—the joker—and drops it on the table. Immediately he hands the deck out for inspection and instructs the person holding it to find all of the cards mentioned. The cards are all gone—they aren't in the deck. He looks that envelope and tells one of the spectators to pick it up and open it saying, "That envelope was sealed in advance and has been lying there in front of all of you the whole time. What's in it?" Inside are all of the cards. "It would appear..." he says, "you can induce hallucinations in the real world." "I normally don't do effects that require I use cards; this is a RARE exception to that rule." Comes complete with detailed 12 page instruction booklet, evnvelope and gimmick card on Bicycle stock.